A portion of the tires on Gary Eggers’ property. 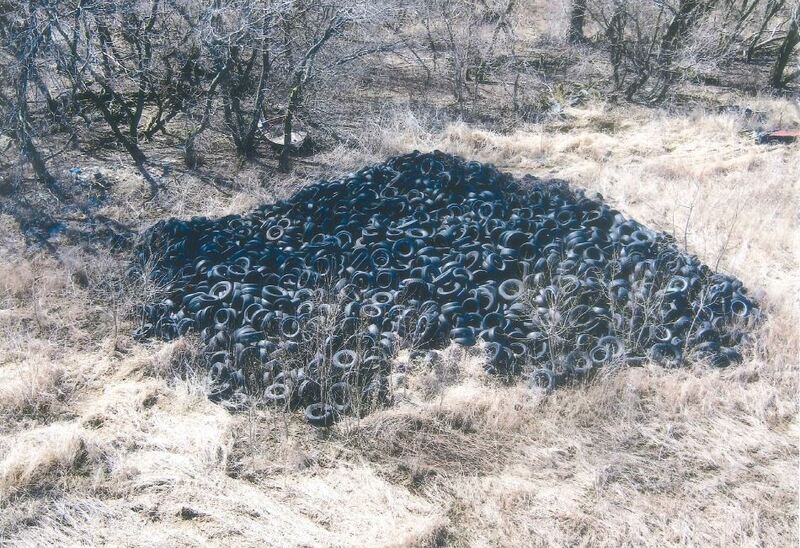 DES MOINES – A Mitchell County judge has sentenced a Stacyville man to 120 days in jail for repeatedly ignoring orders to clean up thousands of tires on his property and pay a fine. The state has alleged that since 2013, Gary Eggers has illegally stored and dumped waste tires in an unlicensed salvage yard on his property and that tires have washed into a nearby creek and onto a neighboring property. In 2015, the Iowa Department of Natural Resources issued environmental violations and ordered him to stop collecting tires and to pay $10,000. Eggers did not comply, and in 2016, a Mitchell County judge ordered Eggers to pay $100,000 and remove and properly dispose of all waste tires in excess of 500 tires. In an order filed Sunday in Mitchell County, Second Judicial District Judge Chris Foy found Eggers in contempt for failing to pay any of the $110,000 in penalties or comply with other parts of the order. “According to his own testimony, defendant has only removed a few waste tires from the acreage,” Foy wrote. The judge said Eggers showed “disdain” for the DNR during a hearing in December. “The attitude displayed by defendant toward the DNR, its representatives, and the laws of Iowa that seek to protect our environment and our waterways makes clear to the court he should be found in contempt,” Foy wrote. Eggers must begin his sentence April 15. Foy said Eggers can avoid serving 100 days of the sentence if he makes a $500 civil penalty payment by May 3; begins monthly payments of $100 on the civil penalty; removes 100 tires a month until no more than 500 remain; and provides monthly certification of the tire removal. Is this guy a Greek too? The Headline reads, “Stacyville man sent to prison after dumping thousands of tires.” He wasn’t sent to prison, he was sent to the Mitchel County Jail, big difference. He may only serve 20 days. Maybe this guy is related to that joker from Clear Lake, that ruined the village of Burdette with his pile of crap tire hut dream. What the hell was this guy going to do with thousands of tires, build a house? 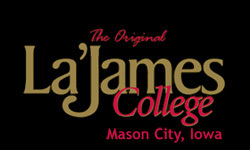 Hasn’t that already been tried by someone that frequents this site. It’s people like this that are ruining our environment. Imagine how many more are out there like this jerk. There should be a legal was to recycle used tires. Similar to the bottle bill, but designed to work. If they could be turned in for $2.00 each, there would be a line to pick them up. I had to pay $.14 a pound for disposal. Came to $126 for a pickup load. He gets a tougher sentence than most serious ofenders.